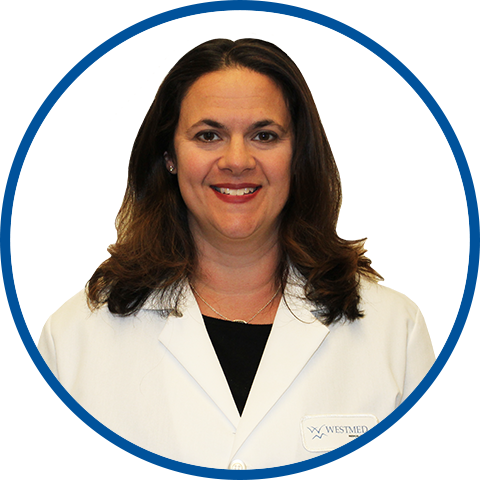 Dr. Fenichel is board certified in endocrinology, diabetes and metabolism. She received a bachelor of arts degree with honors in psychology from Yale University, and was awarded her medical degree from the New York University School of Medicine. She then completed her internship and residency in the Department of Medicine at New York Presbyterian/Columbia University Medical Center, followed by a fellowship in endocrinology at the Mount Sinai School of Medicine. Following her training, she was a Women’s Health Scholar at the Center for Menopause, Hormonal Disorders and Women’s Health, at Columbia University. She then served on the faculty of the New York University School of Medicine as an associate professor for six years prior to moving to Westchester County in 2013. Most recently, she was an endocrinologist with White Plains Hospital Physician Associates in New Rochelle. Dr. Fenichel is a member of the Endocrine Society, the American Association of Clinical Endocrinologists and the American Thyroid Association. Excellent physician; knowledgeable; good listener. She was very thorough and did not rush me. I was also very impressed that she personally emailed me my results and sent my prescription the next day via the portal. dr. fenichel is on the money!!!!!!! !